As you sit before your screen, at least one of our property team is likely to be out scouring the country in search of your next investment opportunity. From property buyers and analysts, to property managers and lawyers, every investment has been hand-picked and thoroughly vetted by our dedicated professionals. With a huge depth and variety of experience, and led by one of the UK’s top property experts, our team are more than equipped for any situation they might encounter. They review hundreds of properties a month, select the best, and harness deep market knowledge to negotiate quality deals. With a combined experience of over 130 years, 31,880 units and over £9 billion buying, selling and managing property, you’re in safe hands. Now is your chance to meet them. 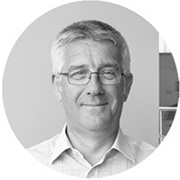 Robert is one of the most experienced and respected residential property professionals in the UK. Formerly Global Director of Residential Investments at the Royal Bank of Scotland (RBS), he also ran a £500m residential fund as Head of Residential Funds at Invista Real Estate. Before this, Robert spent 10 years at Savills heading a specialist team that managed residential investment portfolios. He also set up the Student accommodation investment team at Savills. 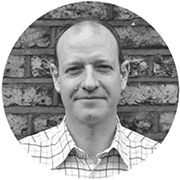 Robert is also a Fellow of the Royal Institution of Chartered Surveyors (RICS) and a member of the residential committee of the British Property Federation. Rob also spent 13 years in the Territorial Army, and can often be found tearing across the country on his motorbike, searching for the best property investments for our community. 40 years and £7+ billion of Acquisitions Investments and Disposals across Shopping Centres, Leisure and Entertainment Centres, Retail Parks, Supermarkets, Office Buildings, Industrial Estates and Trade Parks. UK, US and Germany. Xavier is a Commercial Property veteran and is a well known name in commercial property circles. Xavier was the Joint Founder and Main Board Director at Capital & Regional PLC, a fully listed commercial property company, and has extensive knowledge of the UK commercial property markets. Known for his entrepreneurial spirit, he was also founder, and director of a publishing and poster advertising company, which subsequently became a listed PLC. Xavier’s main leisure pursuit includes many happy hours simply standing in a river. He enjoys fishing ‘in the interest of conservation’ (…he never catches any)! 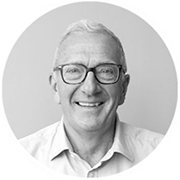 With a career spanning over 30 years with some of the property industry’s most respected names, Jim has considerable industry knowledge and unique insight. Following a role as Executive Board Director at BPT / Grainger, he moved on to work for household names such as Invista, RBS and M&G. Jim is a huge James Bond fan, and once served lunch to the late great Roger Moore at Pinewood studios. “I deal with all the legal complications so that our investors don’t have to. I’ve dealt with a huge range of projects from social housing to multi-million pound developments”. 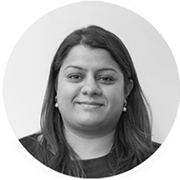 Swetha forms the legal foundation of our property team, having over 10 years of experience as a qualified property solicitor. She has experience in a wide variety of transactions from plot sales in large scale developments to multi million pound portfolio sales, purchases and re-finances. She has acted for Social Housing providers in the purchase of developments, purchases of regeneration sites and stock transfers involving over 400 units. Swetha is a keen pianist, and enjoys going to the theatre whenever she can. 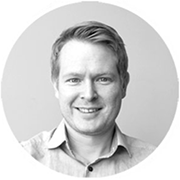 Mark has more than a decade’s experience in property investment strategy, research and analysis. He leads functions including market and asset class insight, performance analysis and reporting of the Property Partner portfolio. He also supports the delivery of new property type and product solutions which best suit the needs of our clients. Mark is a seasoned squash player, and likes sampling local ales on his travels. Important notice: Capital at risk. The value of your investment can go down as well as up. The Financial Services Compensation Scheme (FSCS) protects the cash held in your Property Partner account, however the investments that you make through Property Partner are not protected by the FSCS in the event that you do not receive back the amount that you have invested. Forecasts are not a reliable indicator of future performance. Gross rent, dividends and capital growth may be lower than estimated. 5 yearly exit protection or exit on platform subject to price & demand. Property Partner does not provide tax or investment advice and any general information is provided to help you make your own informed decisions. Customers are advised to obtain appropriate tax or investment advice where necessary. Before investing please read Key Risks.